This weeks’ focus is on chicken facts that perhaps you didn’t know. Most of us know about our ladies in a general way, but we have been digging around to find lesser known facts about our feathered friends! Surprisingly, it was hard to narrow down the list to 25 – there are lots of interesting tidbits out there, so we hope you enjoy our selection. Some are amusing, some thought provoking – others just plain odd, so settle back and let’s uncover some ‘family secrets’ about our hard working girls and boys. We know that with chickens their right eye focuses on food and near things, and the left focuses on distance and possible danger. But did you know they can see in ultraviolet wavelengths too? Humans see in three color bands (red, blue and green); chickens have these too but have UV in addition. It is thought that the ultra violet band helps the mother hen know which chicks are her healthiest so she can concentrate on raising them. It may also help her determine which eggs will hatch or not – neat trick! This could explain why she will kick some eggs out of the nest. Chickens have really good memories – they can remember and recognize over 100 different faces (both human and animal). That certainly puts my memory to shame! A chicken’s hearing is a very valuable sense to have. As a prey animal they need to be able to hear acutely. Their hearing is so acute they can determine where the sound came from and pinpoint it to within a few feet. So what happens when a chicken’s hearing starts to deteriorate? Simple, they grow new hearing cells. They are able to regenerate cells as they are needed so that the affected bird has near 100% hearing. This is currently being studied as it has huge implications for human deafness. 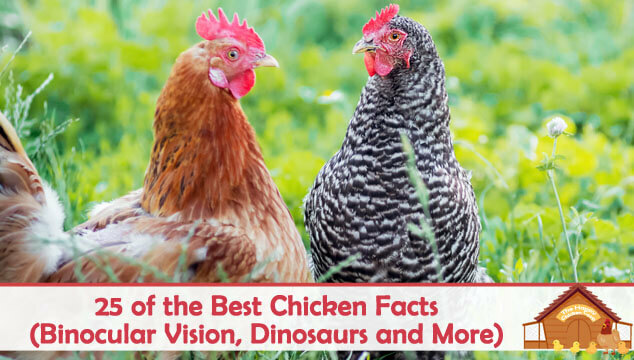 Chickens Are Related To Dinosaurs! In March 2004, the DNA sequence of the chicken was finally mapped. Several scientists compared proteins obtained from a fossilized Tyrannosaurus rex bone and compared the results. It was found that birds evolved from the dinosaur over a relatively short period of time and that chickens and ostriches were the most closely related to dinosaurs. So when you think that they look like a bunch of mini-velociraptors at feeding time – you are not far wrong! The number of chickens on the face of the Earth is around 25 billion. The number of humans is around 7.7 billion – we are outnumbered at least 3:1, so be nice to your girls in case they start up a revolution! In studies they have demonstrated chickens’ abilities to problem solve, have some mathematical reasoning, exhibit delayed gratification and understand object impermanence. When people say chickens are stupid they either don’t know much about them or are comparing them to adult humans. In fact, baby chicks grasp many fundamental things that human babies cannot understand until seven months or older. The Largest Egg Ever Laid Was.. The largest chicken egg ever laid was a whopping 12oz and it contained two yolks – ouch! Studies done at Bristol University and also in Australia, believe they may have uncovered empathy in these creatures. This is big news since it was believed that Mankind was the only species capable of this emotion. Non-harmful tests were performed on a chick within the mothers’ sight – when the chick got distressed, the mother did too. Her heart rate went up and she started clucking at her chicks. This may have far reaching implications for the way we all see and treat these creatures. A mother hen will turn her eggs about 50 times per day so that the embryo doesn’t stick to the shell and can develop normally. Salmonella has virtually been eliminated in the UK by vaccinating the chicks. 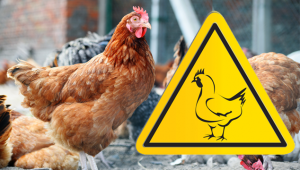 In 1988 a program called the ‘Lion scheme’ was put into place to eradicate Salmonella enteritidis from British eggs. A chicken’s heart rate is 300 beats per minute, she will breathe at 30-35 breaths per minute and her temperature is between 105-107°F. The size and color of a rooster’s comb is what makes him attractive to the hens. A large, vibrant red comb and wattles indicate strength and good health, but he also is judged on his ability to find food and protect the flock. 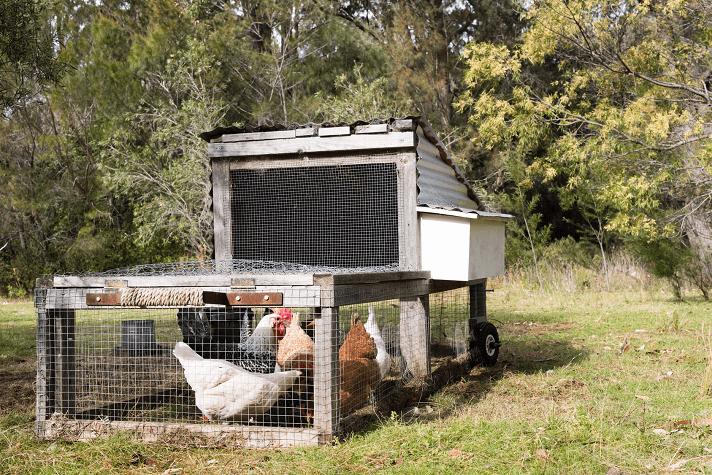 Chickens have a great communication network. They may only have 30 or so vocalizations, but the sounds can be put together in such a way to make more words or sentences. The ‘talking’ begins even before birth – a mother hen will chirp and trill softly to her eggs several hours or days before they are hatched so that they imprint on her and know who Mama is before they even see her. The sounds also encourage the chick to break out of the egg. If you listen carefully to your hens you can pick out some of the sounds and link them to actions occurring at that time. Learn to speak chicken! Faster than a human – I know, I tried it! Whilst they only run at 9 miles per hour, it’s their ability to ‘turn on a dime’ that helps them elude capture. In the US alone, there are 280 million laying hens that produce 50 billion eggs per year – that’s a lot of omlets. 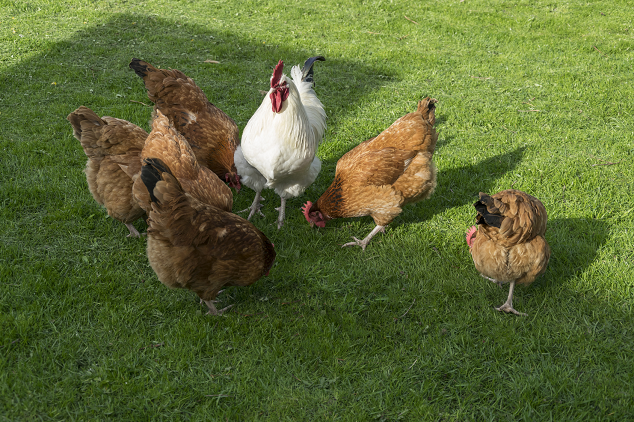 The yearly waste product from one hen could supply enough electric to light a 100w light bulb for 5 hours! Chickens can navigate by using the magnetic fields of the Earth, they can also tell the time by the sun. We already know that roosters have an internal circadian rhythm, but they will use the daylight intensity to judge whether or not it’s time to go to roost. Chickens have periods of REM sleep (rapid eye movement) the same as humans, and this is the time when we dream. No one knows what they dream about though – perhaps it’s endless cracked corn or a really handsome rooster, who knows? 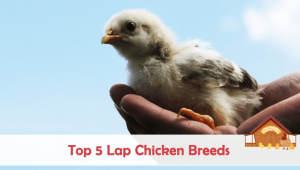 There are hundreds of different domestic breeds of chicken! No one truly knows how many. Estimates vary from 300-500 different types, but some of them are only recognized in their own locale. Dust bathing is not only a way of keeping clean it’s also a social activity. 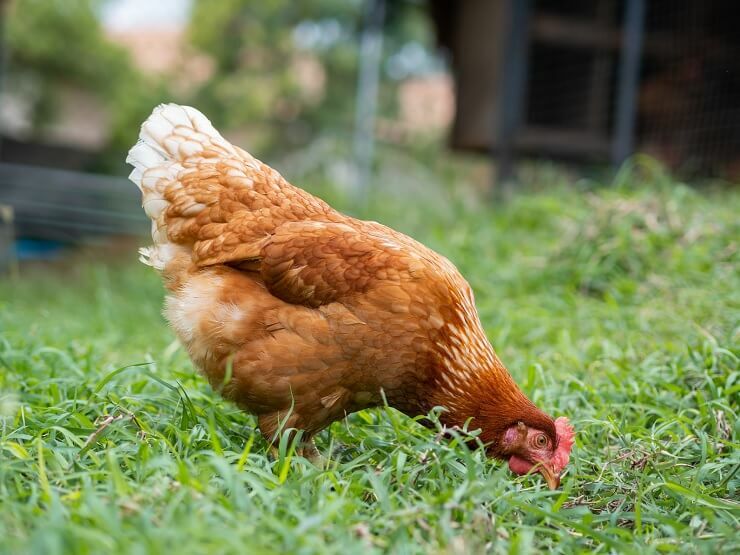 Hens use the dirt and dust to douse their feathers with the cooling and cleansing earth, it has an exfoliating effect. It also suffocates and deters bugs from setting up shop. 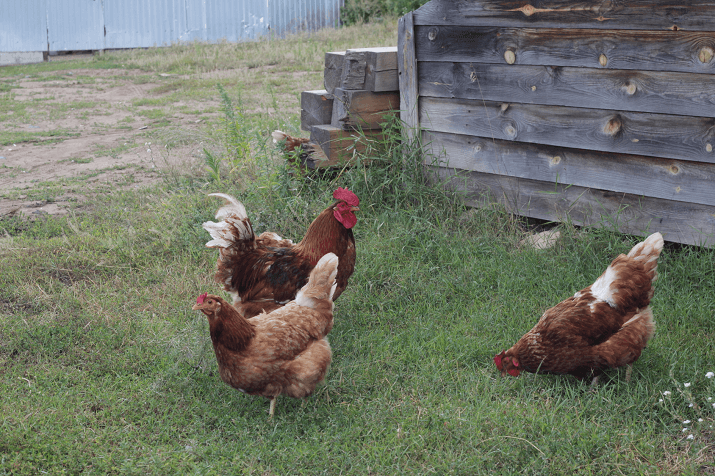 You will likely find several hens all enjoying a dust bath at the same time – it’s like a day at the spa with the girls for us! Alektorophobia is the fear of chickens; the lover of chickens is an alektorophile. If you read The Happy Chicken Coop regularly you are in the latter group! In several religions and countries around the world the chicken, especially the rooster, is a sacred animal denoting the sun. At 86°F a fertilized egg will start to develop into an embryo. If the correct temperature is maintained, 21 days later a chick will hatch. A chickens’ beak is a highly sensitive instrument. At the tip of the bill is a cluster of mechanoreceptor nerves. She will use her bill to probe, drink, eat and defend herself or her chicks. The practice of de-beaking is painful and cruel. 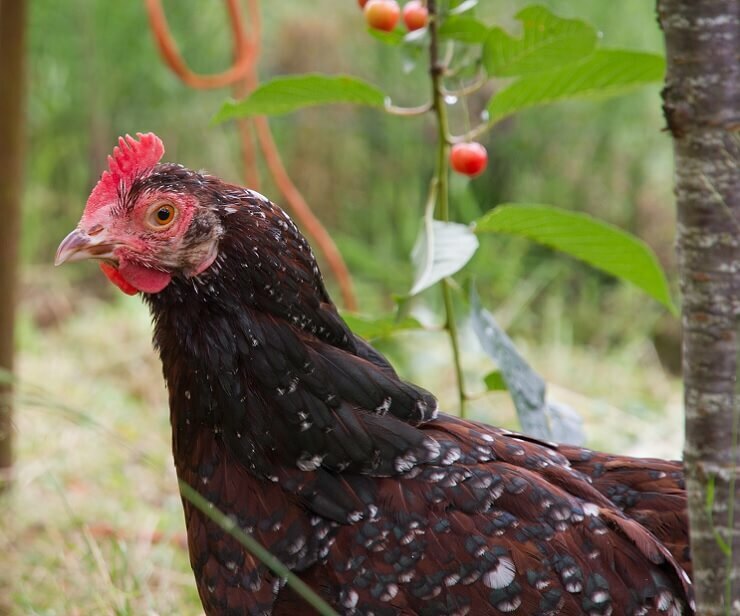 We hope you have enjoyed these random tidbits of information about your chickens. Some of it you may find useful, other facts are simply for fun. 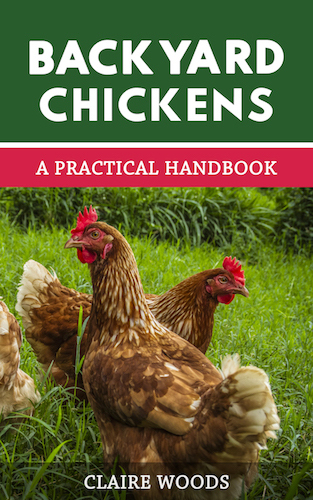 There are so many chicken trivia items out there, but we tried to pick out ones that would be interesting to chicken lovers and perhaps help us all understand why chickens do what they do. I think for me, the evidence of intelligence in these birds was quite eye-opening! Chicken intelligence can really no longer be in doubt, so I will be extra nice to my ladies so they don’t start plotting against me. Perhaps they will be writing these articles once I teach them how to type. I enjoy my chickens. I sit in my yard with coffee and just watch them. They will come up to me and I talk quietly and pet them. They are so cool to watch. I have a chicken who attempts to manage me. When she thinks it’s feeding time she pecks my feet, demanding service. The chicken’s mind works pretty well: She has figured out how to get my attention, and what I am likely to understand! Thank you for all the great information! I love learning everything I can about chickens, as I have 4 “Little Ladies” and I have enjoyed every minute with them! They have taught me so much! Wow! That is some really good reading. We raised chickens when I grew up on a farm. Didn’t know much about them other than they were really good to eat. Thanks for the information. They are not just chickens to me these days. Brilliant- can’t believe the inbuilt hearing regeneration!! Sounds promising for me in a few more years – think I’ll spend more time in the coop!! Thanks Claire – great reading.